EMF Testing - Indoor Environmental Testing Inc. 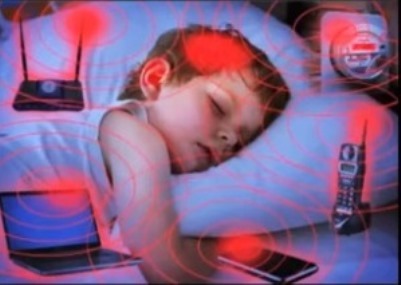 This type of testing is provided with specialized instrumentation to determine the level of exposure in certain areas for magnetic fields, electrical fields, Radio Frequencies, Stray Voltage, Current on Water Pipes, etc …Electro Smog has many sources like wi-fi (wireless) modems, smart meters for utilities, cordless phones, Compact Fluorescent Lightbulbs (CFL’s), Cell Phone Towers, Airport Radar, and many more. More and more people are experiencing a sensitivity to these fields, much in the same way as more people are becoming sensitive to chemicals in the environment. We use European standards and equipment to measure this type of radiation and make recommendations for reduction and/or mitigation with special shielding devices or relocation of desk, beds, chairs, etc. A full assessment takes 2 to 2.5 hours for a standard 2-3 bedroom home. If conducted as part of the Air Quality Assessment, the cursory EMF check (optional) takes 30-45 mn.